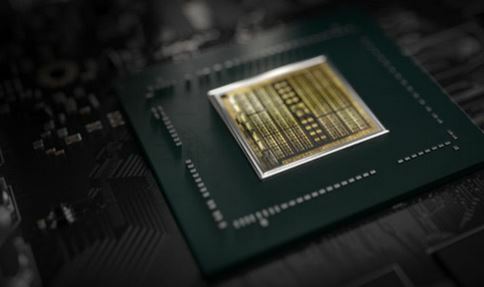 Nvidia recently launched their new GeForce GTX 1660 GPU alongside offerings from all of their major manufacturing partners. While the 1660 isn’t meant to be a flagship card, it is an incredible price-to-performance deal, with respectable specifications. These cards are offering 6GB of GDDR5 VRAM, 1408 CUDA Cores, and official base clock speeds of 1530Mhz. Again, while these are not top-tier cards, you can expect them to deliver decent performance in any PC game on the market right now. With all that in mind, we’re putting together a budget-minded buying guide to capitalize on the GTX 1660’s base MSRP of $219.99. Our target here is a set of overall specs suitable for playing Tom Clancy’s The Division 2, which came out last week. Here’s the official spec breakdown for the game, with a surprisingly forgiving “minimum” spec entry point. There are a couple of other caveats here. Firstly, we’re avoiding any refurbished or open box options. Secondly, we’re going with brands that we know and trust. Just because we’re going inexpensive, doesn’t mean we’re going cheap; quality and reliability are important. Finally, we still want a full ATX platform. Going smaller is doable (and actually slightly cheaper) but having space to grow can also be nice. To be completely honest, breaking any of these rules can shave off a few bucks here and there, but we’re not sure the end result would be better. And one final note for all of this: all prices were accurate on Newegg.com at the time we were researching and writing this article (the week of 3/18/2019) but are always subject to change. With that preamble out of the way, let’s dive into the parts! Our first step is pretty obvious. This is an article about GTX 1660s, so that seems like the right place to start. Seeing how recently these bad boys dropped, we can’t say exactly what will be in stock at any given moment, but there are a lot of players making a lot of cards right now, so you’ve got options. As we mentioned, the base price for the GTX 1660 is about $220, and several manufacturers have released cards at pretty much that pricepoint. In no particular order, here’s what’s on offer. Obviously there are some minor deviations, but any one of these four options is going to allow us to hit our target. We should note that the minimum VRAM requirement for The Division 2 is 2GB and the recommended amount is 4GB. Since the GTX 1660s all have 6GB, we’re easily blowing past those numbers, and landing somewhere between Recommended and High on our system requirements chart. Once you’ve got your 1660, you’ll need a motherboard to slot your new GPU into. 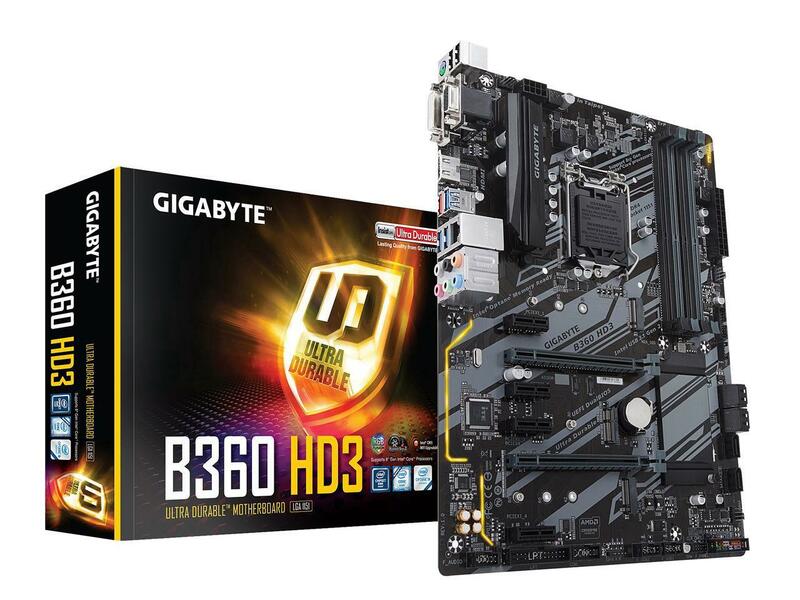 Our recommendation is the B360 HD3 from Gigabyte, since it’s an inexpensive board but still has some features we’ll care about later on. I know, I know. 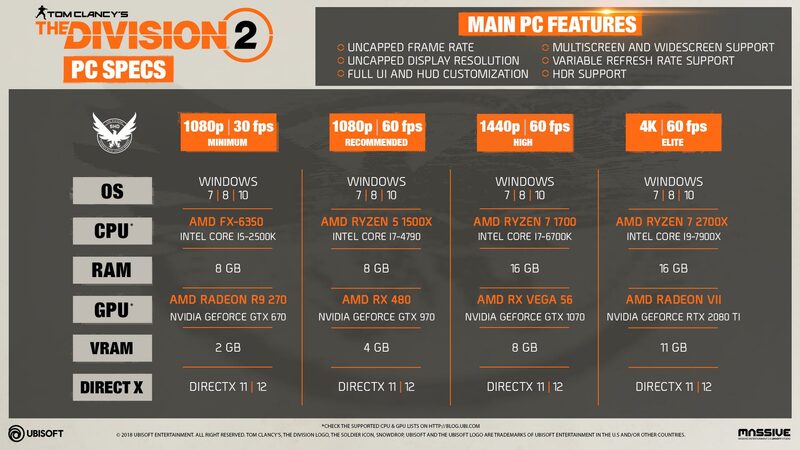 A Core i3 doesn’t sound like much, but remember, minimum CPU requirements for The Division 2 are extremely generous. Referring to our chart up there, we only need a Core i5-2500k. Yeah. We’re gonna go out on a limb and say an 8th generation i3 stacks up against a 2nd generation i5 pretty darn well. In fact, while both have four cores and four threads, the 8100 has a faster base frequency of 3.60Ghz, (vs. 3.30Ghz) DDR4 support, and a much smaller (14m) lithography process. So yeah. Don’t underestimate this little chip. It’s got a lot more moxie than the term “Core i3” used to imply. 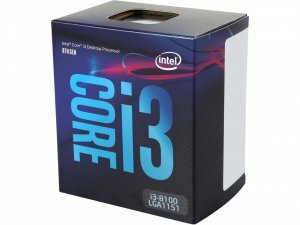 Coming in at $150.90, the Core i3-8100 is perfect for our budget and delivers all the CPU power we need, since the majority of the gaming workload will be done on the GTX 1660 anyway. We should also note that this version comes with Intel’s stock cooler and fan, which will be compatible with the motherboard we recommended, and is adequate for this system. These days, one of the must-haves for a clean looking build is an M.2 SSD. There’s no extra cabling involved, and they’re easy to install. More importantly, we’re no longer stuck paying extra just for the privilege of having the M.2 2280 form factor. Many M.2 SSD options cost the same as their 2.5” SSD counterparts, which is the case here. Either way, you’re looking at $34.99 for 120GB. Admittedly, 120GB isn’t an astronomical amount. But it’s enough for your OS install and a small stable of your favorite games. What we’re really after here is speed (and, of course, price.) For games with large maps and environments, the speed offered by an M.2 SSD is key. You might get more raw storage space in an HDD of the same price, but it’s going to lag behind your average SSD in load times. It’s not pretty. Its got no heat spreader. It’s probably as bare bones as it can go and still be called DDR4 memory. But none of that matters to us. At $41.99, G.SKILL’s Value Series RAM is affordable and gets the job done, since we know its 2666 timing rating is compatible with the motherboard we’ve selected. 8GB is also considered more than sufficient for day-to-day computing tasks, including gaming at the settings we’re shooting for. Your computer’s PSU is one area you really don’t want to compromise on. PSUs aren’t going to be the most expensive part of your build, but you want to be sure you’re getting consistency and reliability to keep the rest of your components properly powered and stable. 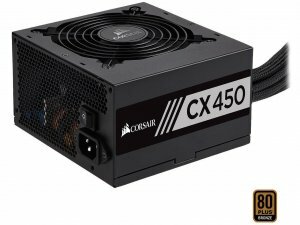 Fortunately Corsair has been in the PSU game for a long time, and makes quality PSUs at affordable prices. The CX450 delivers 450 Watts, which is plenty for our build. It also has all the connectors we’ll be needing, and while it’s not a modular PSU, all the cables are protected by mesh sleeves. The Corsair CX450 sells on Newegg for $49.99. It’s hard to ever concretely recommend a PC case, because cases are just as much a matter of style as function. You’ll have a lot of personal choice for your case, because even though we’re looking in the general range of $40 to $50, we’re not limited on options. Seriously, check all these cases out. That said, we do really like the MX330-X from Cougar. It’s no-frills stamped steel chassis that still has all the basics you’d want in a case. There are mounting points for any additional drives, accommodations for additional fans, radiators, and a full-length PSU shroud. True, the front I/O leaves a little to be desired, with only the two 3.5mm audio jacks and only two USB ports. But hey, it’s got a 5.25” bay for DVD drives, if that’s your thing. 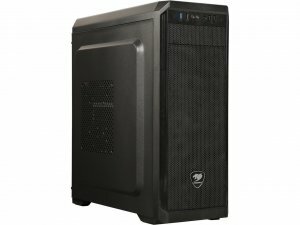 It’s also worth mentioning that the Cougar MX330 (no final X) is only three bucks more, and has a tempered glass panel and two more USB ports, which seems like a good deal. All that puts us at a total of $624.84 for all the hardware for our build. That’s pretty great! That’s all the hardware we need to really enjoy The Division 2 or Apex Legends, and probably at least play anything else out there right now. But sadly, we live in the real world, so there are going to be inconvenient things like taxes that bump our total up higher. We’re in California, so our estimated taxes on the list above would run around $48. Point being, you should probably be accounting for $40 to $50 for taxes depending on where you live. Also, we need to account for shipping. That obviously also changes wildly with the final destination, and there’s no really great way to account for it, aside from putting all these components in your cart. The best way to mitigate shipping expenses is simply to join Newegg Premier, which offers free shipping on most items. Just under $700 for all that gaming hardware is pretty great, but let’s say you have a little more dosh on hand and want a little more firepower. How to improve on what we already have here? More storage should be your primary concern. 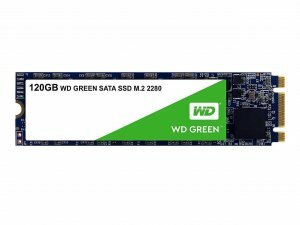 The 240 GB version of the WD Green M.2 SSD we mentioned before is only $14 more expensive and is literally double the capacity. While the CPU cooler that comes with the i3-8100 we recommended does the job, it might be worth considering a beefier cooling option. Cooler Master’s Hyper T2 is an inexpensive option that’ll get you some better temperatures right away. 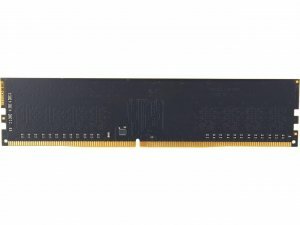 It might also be worth getting a second stick of that G.SKILL Value Series RAM. 8GB gets you to minimum system requirements, but Ubisoft recommends 16GB for higher settings in The Division 2. Finally, while the $219 GeForece GTX1660 options are fantastic for our purposes, it is possible to spend a little more on a higher-end model. For the most part, that additional expense is going to be for better thermal performance (like more fans and/or a bigger cooling block) or for some extra RGB-based pizzazz. Any way you slice it, Nvidia’s GeForce GTX 1660 is putting more power in the hands of gamers on a budget. With a solid GPU to build around, the sky’s the limit when it comes to custom builds at lower prices.